Todd Howard, Head of Bethesda Game Studios, revealed new details about Fallout 76, the franchise’s first multiplayer entry, during an interview today with Geoff Keighley’s YouTube Live @ E3. 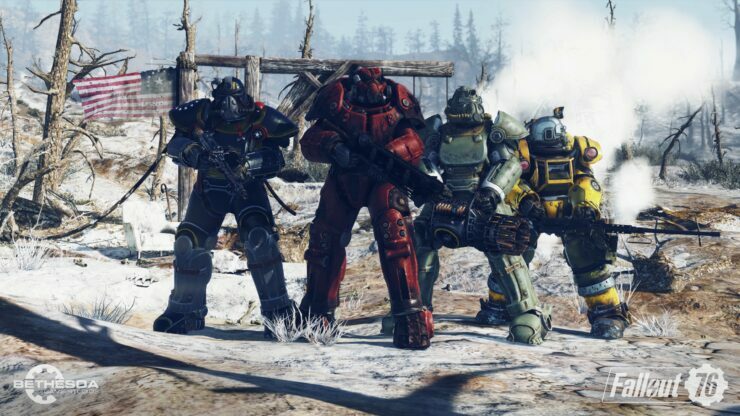 Specifically, he addressed popular concerns in the community regarding the confirmed lack of human NPCs, the potential PvP issues, how the VATS and modding systems will work in the online-only environment. We don’t want to be griefy, but we want there be a little bit of drama without ruining your game. There’ll be a balance between aggressive players and those who don’t want to deal with PvP too much. VATS will work in real-time, it will be different but if you are not that good with shooters you can specialize your character to be good at using VATS. There’s so much in this game. Once we find out what the players like, since we built a system to add content, we’ll do that. We’re committed to doing mods, but not at launch. You’ll eventually be able to have your own private world and mod it. Last but not least, he said that Starfield (the space-themed game BGS is focusing on next, the first new IP they’ve built in twenty-five years) is playable while The Elder Scrolls VI is definitely not there. Fallout 76 is due on November 14th for PC, PlayStation 4 and Xbox One. There will be a beta ahead of launch, too.